When I take a look at the Balkans as a whole, the first thing that comes to my mind is the diversity of the region. A wide range of different languages, ethnicities, and religions co-exists in this part of Europe. Their cultures that share a lot with one another yet can be so different and unique depending on the geography of the peninsula. However, if you travel around the Balkans, you will often find yourself in homogenous surroundings, where only one language is spoken or one religion is being practiced. 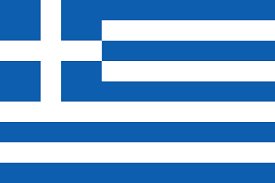 The Balkan countries are mostly comprised of a great majority that lives in each country, and practicing one religion. 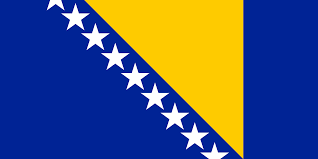 As a consequence, one can come to a conclusion that the majority of Serbs, Montenegrins, Macedonians, Bulgarians, and Greeks are Orthodox with the Orthodox Church, the majority of Croats and Slovenians Catholics with the Catholic Church, and that most of the Kosovar Albanians, as well as Bosniaks, are Muslims. But what about Albania? 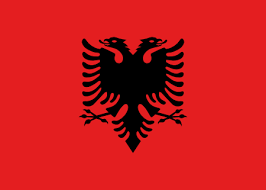 If you’ve never been to Albania, what might come to your mind is that most people living there are Muslims. This might be true. Nonetheless, the percentages are way smaller than in other countries in the region. According to the latest census, around 56% of the citizens of this country are Muslim, over 10% are Catholics, almost 7% are Orthodox Christian, and the rest are declared as atheists, or non-denominational religious groups. Needless to say that these statistics are not visible only on paper, but in reality too. I saw it for myself when I took a trip from Tirana to a city in the south called Korça, also famous because of the quality of the beer it produces. 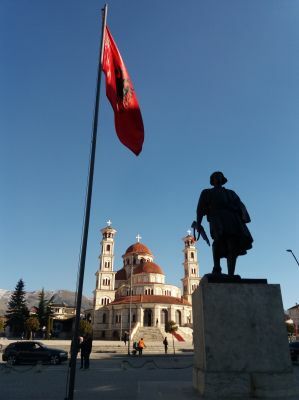 Korça, however, has a long and interesting history. Together with a nearby town of Voskopoja, it used to be a melting pot of many influences. When walking around the city, I was surprised to see a huge Orthodox church right in the city center. 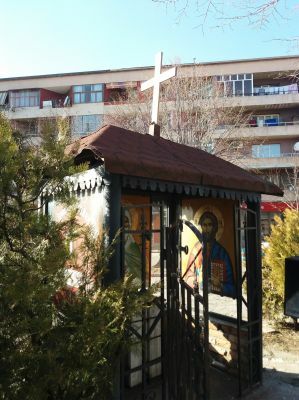 Orthodox chapels can be seen on crossroads. A similar thing happened to me when I traveled to Vlora, where I could see the signs being written in Greek as well as Albanian. 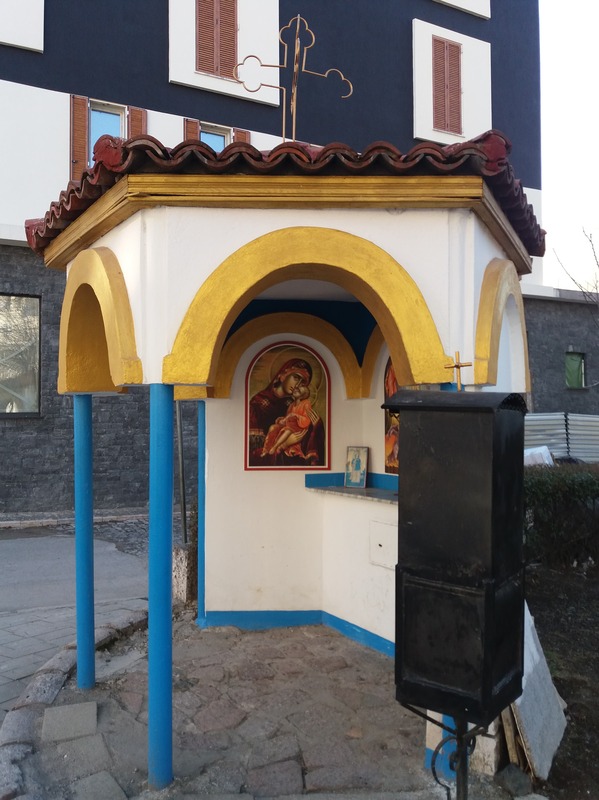 In north of Albania, I remember seeing Catholic cemeteries as well as pictures of Jesus Christ and Mother Theresa hanging on the walls of the local’ houses. In fact, Tirana itself has a mosque, a Catholic cathedral and an Orthodox one all in the city center not far from one another. Shkodra is a city in the north where these holy buildings are on a hundred-meter distance from one another. 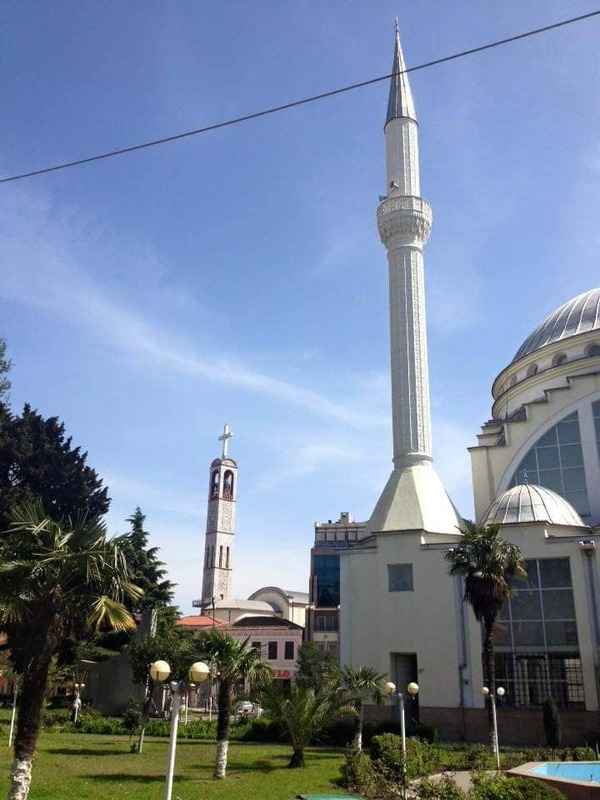 There are many other places, big and small, in Albania where you can see a mosque and a church right next to each other. The only other place I saw so far as a home to the same phenomenon is the city of Ferizaj in Kosovo, where a mosque and an Orthodox church share the same land, the same yard, which is being divided by a wall since the war. The imam and the priest serving there see the wall as a problem and are putting efforts together to remove it. Finally, what does this tell us? Is this proof that the communities in the Balkans, no matter what religion they belong to or don’t if they have one, can consolidate their relations with one another without the fear or risk of getting into a conflict? 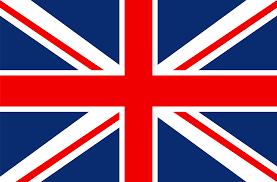 I would say that anything other than realizing and accepting the fact that tolerance can be successfully applied to the rest of our conflicting region, would contribute to creating an illusion that life here is impossible. While in fact becoming aware of the reality would make life much easier for all.